Unified Modeling Language (UML) is a graphical modeling language for describing, visualizing, projecting and documenting of object oriented systems. UML is used for modeling of organizations and their business processes, for development the big projects, the complex software applications. 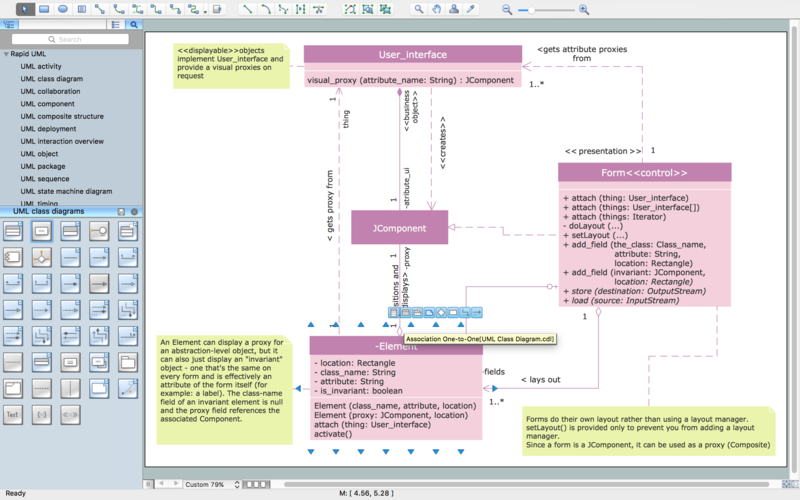 UML allows to create the set of interrelated diagrams that gives the complete visual representation of the modeling system. This possibility is very useful for work with complex and very complex systems and projects. 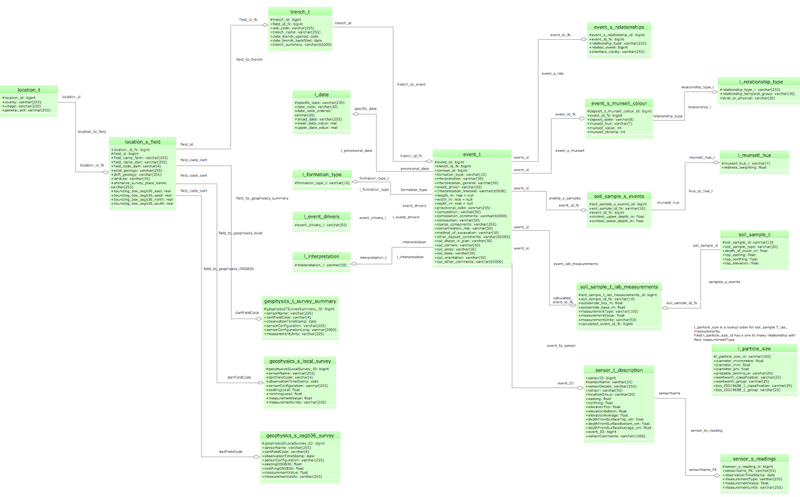 The big modeling project can contain several interconnected UML diagrams of different types that reflect the all aspects of the system – dynamic, static and structure. Each UML diagram is a part of the model that displays the certain information. This can be Class Diagrams that show the classes of the system; Timing Diagrams that describes the behaviors of the objects during a certain period of time; Component Diagrams that show how components are connected to larger components or software systems; Interaction Overview Diagrams that show the interactions between program components; Use Case, Activity, Package and other types of UML Diagrams. 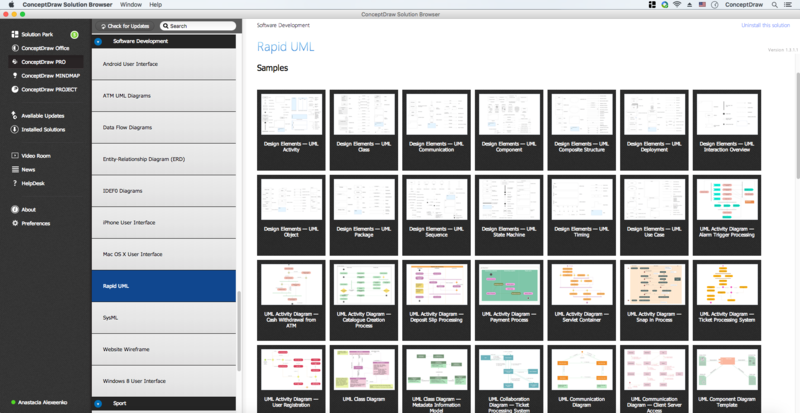 The Rapid UML Solution for ConceptDraw DIAGRAM includes the UML libraries that help you to design the UML project quick and easy. You can simply and quickly create the different UML Diagrams using the objects from the libraries and connect them. 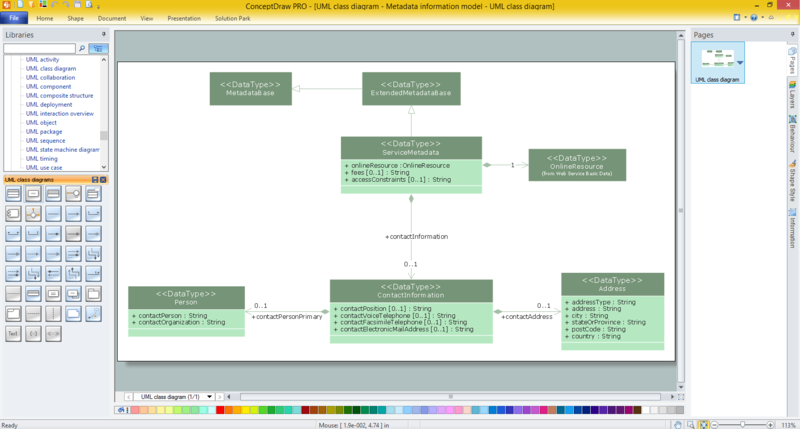 This sample describes the UML model for the DART relation database and was depicted in ConceptDraw DIAGRAM diagramming and vector drawing software using the UML Class Diagram library of the Rapid UML Solution from the Software Development area of ConceptDraw Solution Park. Using the Rapid UML Solution for ConceptDraw DIAGRAM you can create your own UML project with different types of UML diagrams quick and easy.